HÀ NỘI — Vietnamese masters will take part in the 42nd World Chess Olympiad in Baku, Azerbaijan, from September 1-14. A total of 182 teams representing 176 countries will take part in the Olympiad. This is the largest number of participating countries in the history of the World Chess Olympiad. 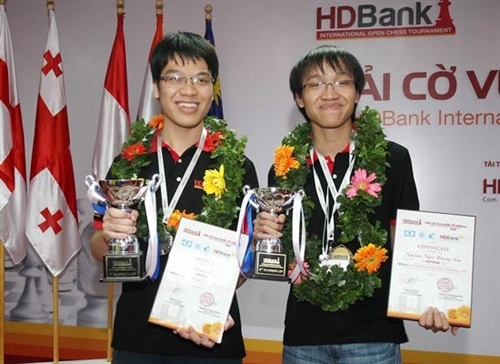 Grandmaster Lê Quang Liêm and three teammates will compete in the Open category. Also, International master Phạm Lê Thảo Nguyên and three others will participate in the women’s class. Each team is allowed one reserve player. The winning team in the open section of the Chess Olympiad will receive the "International Hamilton-Russell Cup".